When a megabrand like LG wants to unveil a television screen that rolls up like paper towels, they do it at CES. When a tiny startup wants to get a little buzz for their passion project, they go to CES. As such, it offers a panoramic window into the state of the entire electronics market. For Movesense, it was an opportunity to revisit first-hand how the wearables market has evolved, see what we can expect in the year ahead, and demonstrate how Movesense will power a new wave of devices and functionality. We brought five of our innovative customers to the show, so they could demonstrate their health, fitness, and sports products and show product developers how the Movesense platform makes it easy to create new wearables. But what we saw on the rest of the show floor was telling of the larger trends in our industry. Many sports tech and sports sensor companies that were exhibiting 1-2 years ago, were no longer there. Why? Some of them are already out of business or casting around for new business models instead of building their own hardware. Others have decided not to invest in a CES presence after their first product launch. A large proportion of the “smart” products at the show, like smart kettlebells, and smart bike helmets, were built with built-in sensors using proprietary technology that was developed in-house. The sports & fitness tech area didn’t appear to have the same buzz that it had a year or two ago both in terms of exhibitors and visitor traffic. All of these observations have one thing in common: the expense of developing a product. Many sports tech companies went out of business because they spent too much money building their own hardware. Products with embedded sensors that are coming to market now, are more expensive than they should be because the companies selling them need to recoup the money spent on developing their own hardware and add enough margin on top of their too high unit costs that are a result of complicated technical solutions. There is less buzz centered in the wearables space because many companies who would otherwise like to launch in this market have spent years trying to develop their own hardware. The big wearables hype that we saw two to three years ago has gone away. We’re in a post-hype valley in which the truly useful concepts and profitable business ideas are still incubating, looking for long-term, sustainable growth. Attending CES this year affirmed our belief that a large market continues to demand a ready-to-use sensor platform that just about anyone can use to make a wearable product. Our customer companies have already chosen the efficient way. 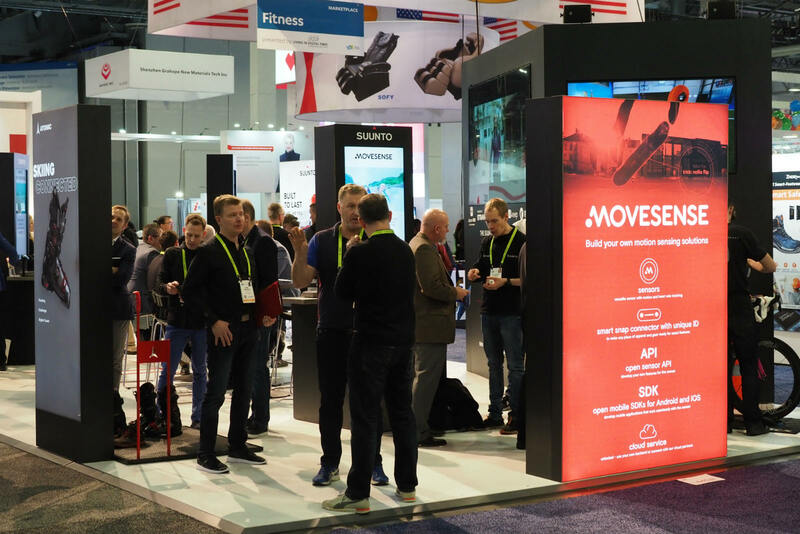 Read here how they experienced co-exhibiting with Suunto and Movesense at CES 2019.